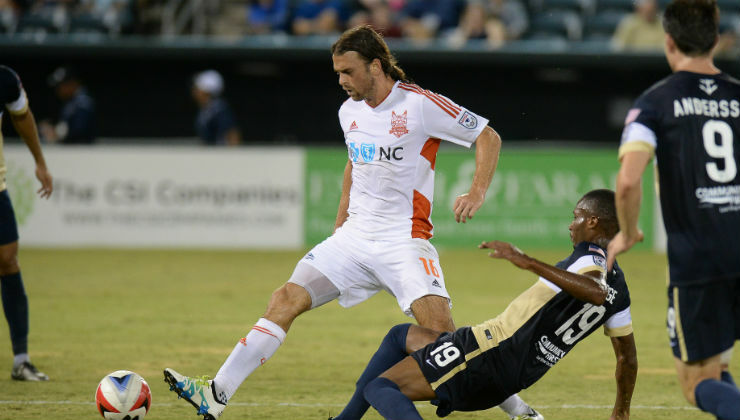 The Carolina RailHawks were picking up momentum, but suffered a 6-1 loss to the New York Cosmos last Saturday. One player that hasn’t cooled down has been Matt Fondy. He scored his sixth goal in nine games for Carolina in the Fall Season during the club’s road loss last week, and for the RailHawks, 10 of the last 11 goals for the side have come from either Fondy or Mexican star Omar Bravo. Carolina (3W-3D-4L, 12 points) now returns to WakeMed Soccer Park, where the club has a six-game unbeaten run. Carolina’s next opponent is Jacksonville Armada FC, which has yet to lose since Mark Lowry took over and is on a four-game unbeaten streak. The club should be well rested since the Armada FC most recently played to a 0-0 draw with Minnesota United two weekends ago. Jacksonville (2-4-5, 10) earned a 0-0 draw in its last visit to WakeMed Soccer Park in the Spring Season and grabbed a point in a 2-2 draw against the RailHawks in the beginning of August. WakeMed Soccer Park | Cary, N.C.